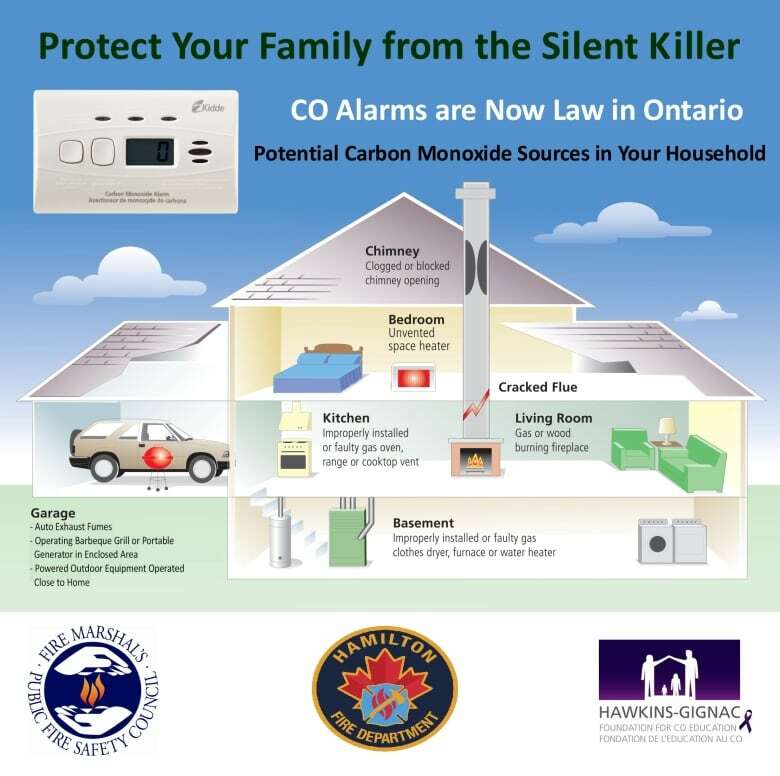 A former firefighter who lost four family members to carbon monoxide poisoning is urging Canadians to be aware of the risks and take the necessary life-saving precautions this winter. 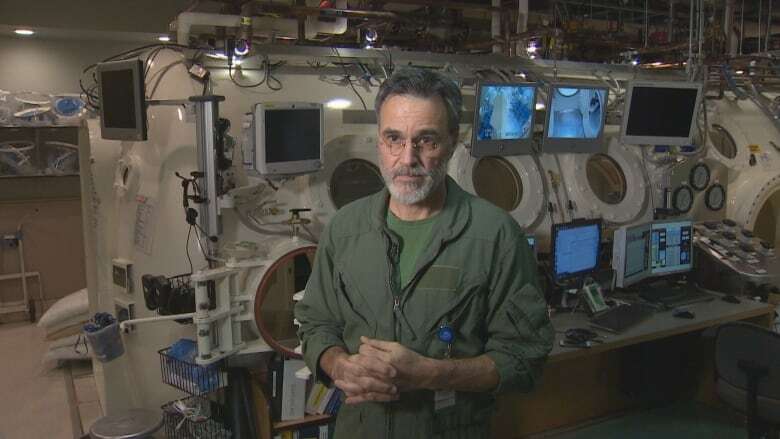 His warnings come after 13 people were hospitalized in Vancouver when they were exposed to carbon monoxide in an office on Wednesday. A day later on Thursday, two adults and three children from Barriere, B.C., were airlifted to Vancouver after being poisoned in their home. "It brings back sad memories," said John Gignac, who now runs the Hawkins-Gignac Foundation for Carbon Monoxide Education in Ontario. "It's unfortunate that's going to keep happening until we move forward with education." Ten years ago, Gignac's niece, her husband and both their children died in their home from carbon monoxide poisoning. "They didn't have a CO alarm in their home," he said. "They turned the gas fireplace on downstairs during the cold season and all the carbon monoxide gases — because the appliance wasn't checked — pumped all the gases back into the home and took the whole family." Gignac is pushing for the installation of carbon monoxide monitors to be a legal requirement across the Canada. Right now, it's only legislated in Ontario and the Yukon. "It's been proven to save lives and protect people from carbon monoxide," he told Stephen Quinn, the host of CBC's The Early Edition. The group of office workers were not the only cases of carbon monoxide poisoning this week. "We've had 17 cases this week that I'm aware of. There are many more than I'm not aware of," said Dr. Bruce Campana, who treated the office worker patients at Vancouver General Hospital. "This week has been insane." The deadly danger with carbon monoxide poisoning comes from the fact it can "make you unconscious before you know it." "If you don't get removed from it, it'll kill you," said Campana. 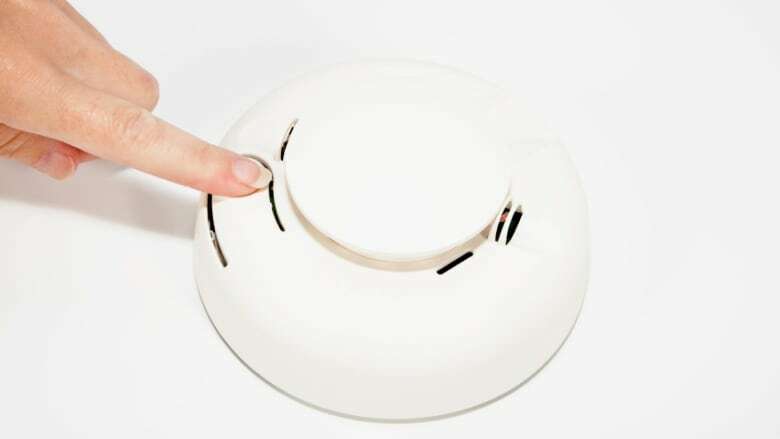 Carbon monoxide detectors, which can cost less than $50, can be placed anywhere in a home or office. Ideally, they should be kept 10 feet away from appliances to avoid false alarms and located outside every sleeping area. Fuel-burning appliances such as furnaces, water heaters, fireplaces and wood stoves should also be maintained and checked to make sure the ventilation isn't blocked by snow or leaves.